A so-called "plonker" tried to fool the police by handing them a driving licence with Del Boy Trotter's details on it. 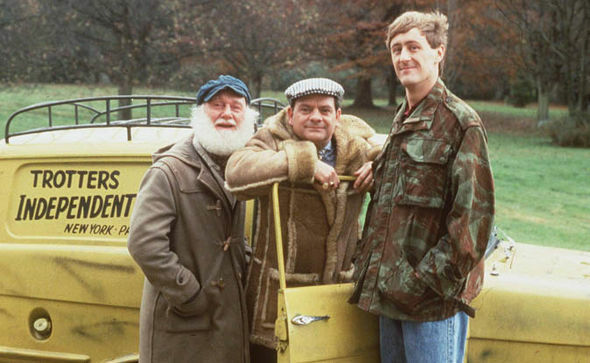 When the driver was found to have no insurance after being pulled over in Terrington, near King's Lynn, he brandished a licence that featured the name and face of Sir David Jason's iconic Only Fools and Horses character. The licence stated that his name was Del Trotter, and that he was the owner of the Renault Megane. It also said he was only qualified to drive a three-wheeler. Officers soon sent the driver to court, and also seized his car on Wednesday (March 21). Norfolk and Suffolk police dog unit officers pulled the car over on the A47, and later tweeted about the incident, saying: "Not even this #Plonker's fake driving licence could stop their car being seized." After the fake Del Boy was stopped, the officers made sure to chuck in a couple of Del Boy-style French phrases - such "bonnet de douche" and "pot pourri". However, police added that the licence was not used to purposely fool them, and that the incident "made us laugh". Earlier this week, actor Idris Elba revealed that he'd love to bring back Only Fools and Horses and play a new version of Del Boy.